It seems each year, I was poetic about the Elysian ideal of the first chill in the air signaling the start of football. By no means it is the first - this summer has had a couple of delightful mild patches - buy I definitely felt that chill this morning on a day I've personally earmarked as football's harbinger. This year, college football starts on a nebulous "Week Zero" (or is it Week Point Five?) born of some scheduling anomalies with teams playing Hawaii. With so few teams and bands in action, it should come as no surprise that the Band on the Road Game of the Week is not a game at all. 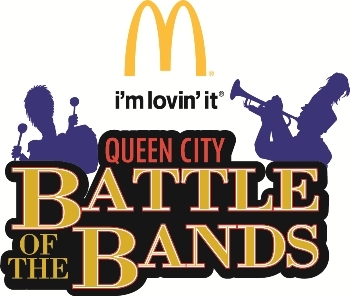 Instead, I'm taking the show on the road down to Charlotte for the Queen City Battle of the Bands, an HBCU marching band exhibition that is among the season's most anticipated. This year's participants are Alabama State, Bethune Cookman, Jackson State, Norfolk State, NC Central, Miles College, Talladega College, Tennessee State, and Winston Salem State. Football/marching season is upon us, and there's no better way for it to step off.